TRAILS THAT WILL BE HIKED: Sunset, Sunrise, Catalina, Dudleya, Gnatcatcher, Shoreline Park, and Sagebrush Walk Trails on the Ocean Trails Preserve. HIKE WALK-THROUGH: It’s the site of the First Japanese- American Farm on the Palos Verdes Peninsula. 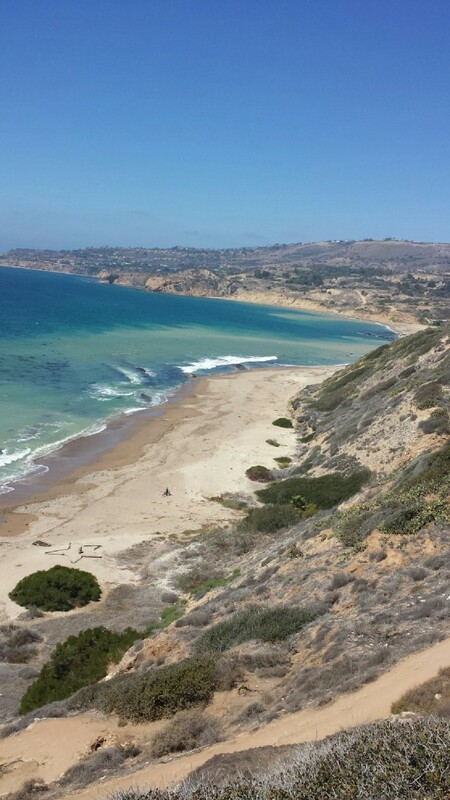 Ocean Trails by Trump National Golf is part of ten reserves that make up the 1,400 acres in Palos Verdes Nature Preserve. It’s a great hike for beginner hikers starting off from a beautiful golf course with a big American flag standing adjacent to the trail where we will be starting from. 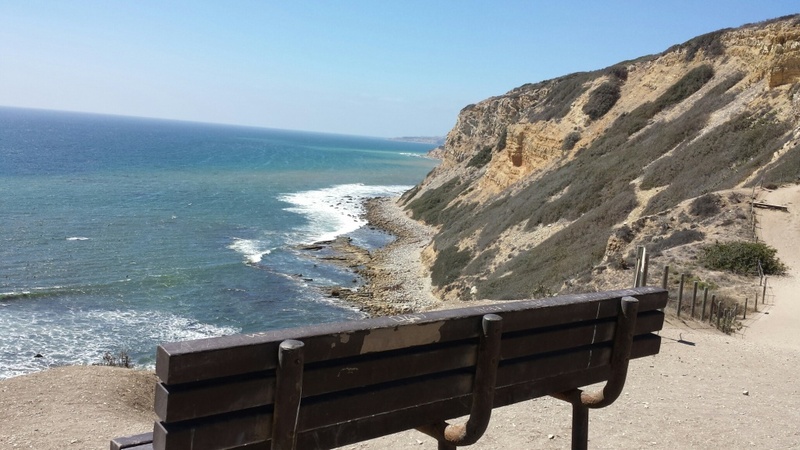 We will hike along designated cliff side trails that lead down to the ocean and start climbing up some switch backs that can be challenging for some but short in distance. We will go at a leisure, but steady pace. After reaching the top you get to turn back and enjoy the spectacular views of the Ocean below with the clashing of the waves, the fly bye of pelicans and or seagulls gliding over the blue sea. We will continue across a paved/dirt trail to our second downward trail. As we reach the bottom of this trail, depending on the high tides or majority vote, we will decide here as a group, whether to continue our hike through plenty of rocks along the beach or come back up the same way we started on a designated trail. This hike has some challenging sections of steep switch backs, but they are relatively short and we will go at a leisure pace so everyone will be able to enjoy the spectacular views of the Ocean. As we continue forward onto our last loop, we will encounter cactus along both sides of the trail and loop around to an area where we will be stopping for a break. It has 2 benches and a table to rest with the best views yet to come! We will head back here and proceed up our last big trail, which is a wide enough stair climb, but a bit steeper climb than the other 2. It has cactus along both sides with limited wooden poles/wire rope like rails as we climb closer to the top, so we advise to be cautious here. This is a brief but steep “stairs” section that we will take slowly more than halfway into the hike. (This area I recommend hiking poles to be helpful for support.) Lastly, we will be hiking back and come across a bridge with a beautiful view of a waterfall built in the middle of the gorgeous green golf course! We will continue right back where we started to complete are hike. If we’re lucky, we might get to see sea lions on the rocks below and or even dolphins swimming bye in the ocean below! As time is getting darker sooner, maybe we’ll get to enjoy the sunset as we complete our hike. Whether we witness the above or not, it’s guaranteed to be worth the drive. WATER REQUIRED. WATER CHECK WILL BE PERFORMED. If you do not take enough water or are not appropriately equipped for this hike, you will be turned away from doing this hike with us even if you show up. Please note, that we have expectations for Level 3 evening hikers. REQUIREMENTS: WATER (at least 1.5 to 2 liters or three 20oz water bottles), 2 liters recommended. Comfortable hiking/sports shoes with good grip. Sunscreen. Hat. poles. Light-colored clothing to keep you cool. Extra water. RESTROOMS: There will be some at the meeting location and at the trail head.